The following is syndicated from jeannicolerivers.com and is posted here with permission. The following is syndicated from jeannicolerivers.com and is posted here with permission. Consistency is incredibly important for your manuscript. If there are gaps in consistency, you lose credibility with your reader. Your reader feels that if you did not put in the effort to make sure that the black left eye that Bobby had in chapter one did not turn into the black right eye that Bobby had in chapter two, then why should they put in the effort to finish reading at all. Inconsistency interrupts the reader’s experience because now they have to go back and reread parts of chapter one to make sure that they were reading correctly and it’s not fair to them, but if you are a writer you know as well as I do that despite our reads and rereads, our peer reviews and even professional edits, sometimes there are still mistakes. Improve the consistency in your manuscript with these helpful tips. The following is syndicated from jeannicolerivers.comand is posted here with permission. Rules, rules, rules, there seem to be rules for everything, including reading, but some rules are made to be broken. Today I am going to share with you a few rules that I like to break occasionally to keep my reading regimen fresh and fun. Blogger Banter #8: It's Christina (@CAhnBooks) from Ensconced in LIT! Buffer The art of gossiping, gabbing and chatting with awesome book bloggers! Today, I'm featuring the super awesome, dystopian-lovin', "Dante"-fangirlin', author-gonna-be, CHRISTINA from ENSCONCED IN LIT! Return of Retweet Worthy Tweets ... should they stick around? Not sure why I ever stopped doing these. They were popular, easy to do, and a great way to feature some of our followers. Can't say for sure that these types of posts will continue. I'm unpredictable that way, but enjoy the following tweets. 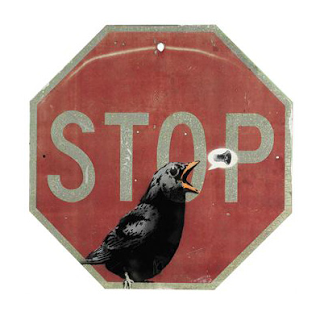 Buffer Conversations with authors and writers from the self-publishing world. The following is syndicated from annhandley.com and is posted here with permission. 1. Good writing anticipates reader questions. Good writing serves the reader, not the writer. It isn’t indulgent. “The reader doesn’t turn the page because of a hunger to applaud,” said longtime writing teacher Don Murray. Rather, good writing anticipates what questions readers will have as they read a piece, and (before they ask them) it answers them. That means most good writers are natural skeptics, especially regarding their own work. They relentlessly think of things from their reader’s point of view: What experience is this creating for the reader? What questions might they have? The following is syndicated from standoutbooks.com and is posted here with permission. Sometimes characters and worlds are so brilliant they demand more than one novel, but writing a series presents very different challenges to writing a single book. Every good book has well-developed characters, an engrossing plot, and a healthy dose of conflict, but a good book series demands all of that and so much more. The following is syndicated from melissamcphail.com and is posted here with permission. I’ve been working with an artist on the cover for book 2, The Dagger of Adendigaeth, as we creep ever closer to publication. For this book cover, I asked Kentaro Kanamoto to paint on his virtual canvas what I’ve been envisioning in the universe of my own mind for so long. He’s returned some incredible images that I thought I’d share (mainly because they are so beautifully done, even in rough form) but also by way of illustrating my recent thoughts on book covers, generally. I have a Masters degree in Counseling but I’ve recently gone back to school. I'm taking lots of literature and creative writing classes and following the path I should have taken in the first place. I’ve “won” NaNoWriMi twice and I’m about four big scenes away from finishing the rough draft of my first full-length fantasy novel. I’ve found that years of working as a therapist has provided lots of grist for the mill when creating characters. I’ve also spent so much time writing over the years that I’ve almost worn off my fingerprints according to the lady at the DMV. The following is syndicated from prevention.com and is posted here with permission. Last week, The Pacific Standardreported on a new study that suggests chick lit—the novels you typically bring to the beach—is partly why women suffer from low self-esteem. The study, published in the journal Body Image, asked a group of 159 women to read one of two excerpts researchers manipulated in terms of the character’s weight, wardrobe and kinds of comments she makes to herself, and others, about her body. Afterwards, participants answered questions having to do with their own weight and sexual attractiveness. The following is syndicated from devorahfox.com and is posted here with permission. The bookselling industry requires that publishers and authors categorize their books. That makes sense. Readers in search of something new to read usually know that they’re looking for a mystery, biography, cookbook, etc. They would not at all be pleased to find bookstores, be they brick-and-mortar or electronic, with no more organization than a rummage sale. While the industry has a clear understanding of the variousgenres, it’s not all that clear to me. For example, what would you say is the difference between a mystery and a thriller? (Some years ago I heard one author, I believe it was Margaret Maron, say the difference is a $700,000 advance.). 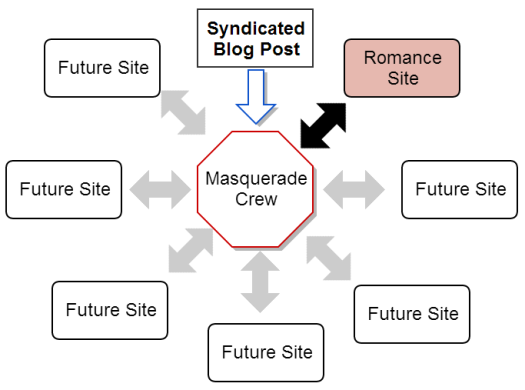 Increase your exposure by syndicating a blog post with us. Would you like us to syndicate a post of yours (with a free book ad included)? The following is syndicated from abigailowen.com and is posted here with permission. I recently have been engaged in a dialogue with fellow writer Kate McMurry (katemcmurry.com) that I've found so interesting - and relevant - that I thought I'd share a bit. Kate brought up the importance of the villain and postulated that a hero (and a story) is only as good as the villain and the antagonism they provide. 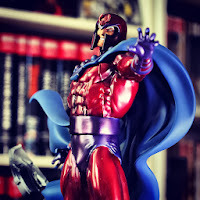 So the question becomes how do you create a solid, 3-dimensional villain? My recent following strategy on Twitter involves following everyone who has been listed in a demographic that I target (usually writers). How do I do this? Easy. I pick one of my recent followers who is in the targeted demographic (bio says they are a writer for example), and I see if they are listed by someone else. If so (and the list is named appropriately), I follow everyone on that list whom I'm not already following. In doing so, I've found a few people who have blocked me on Twitter. What's the block rate and what does this tell me? The following is syndicated from authorlukemurphy.com and is posted here with permission. It can be said with near certainty that I didn’t follow the path of the average writer. As a child, I never dreamed of writing a best-seller, never aspired to write the next classic novel, I wanted to be an NHL superstar…period. Unfortunately injuries shortened my career to only four games with the Florida Panthers in 1999 and a six-year career in the minor leagues, so I needed to find a new path. From a family of avid readers, even as a child, I always had a passion for books. Whether it was reading novels on road trips or writing assignments in school, literature was always part of my life. In the winter of 2000, after sustaining a season ending eye injury while playing professional hockey in Oklahoma City, I found myself with a lot of time on my hands, and a new hobby emerged. 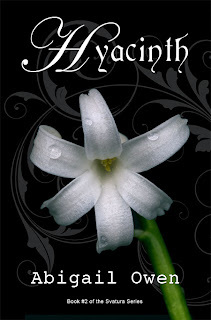 Wendy - my editor - and I are about half-way through our first round of content edits for Hyacinth. I will say that so far this is going much smoother than the first round of Blue Violet. With my first book, I had to do a lot of rewriting and adding and moving. Some key plot points - like establishing the tension earlier in the book and creating a stronger connection between my two main characters - required decently large re-dos. All well worth it in the end. Once we got past those larger changes, Wendy helped point out some specific bad habits. With Blue Violet this included talking heads and telling. (Click the links to read my previous posts about those edits.) While writing Hyacinth, I kept those specific issues in the back of my mind and tried my best to catch them before the manuscript ever went to Wendy. Based on her edits so far, I think I did a pretty good job. Virtual book tours are all the rage right now. I mean, literally, everyone is doing them. From Indies to small press to traditionally published authors. They are a cost-effective way to potentially reach a lot of readers and get your work out into those readers' hands. I am an author, tour host, and tour organizer. I can see this baby from all sides and for this post, I've compiled just a few things I've learned from my experiences about what makes tours successful or not. 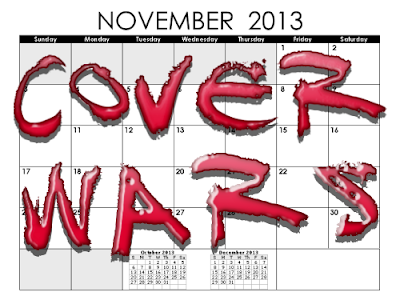 2 weeks left for Cover Wars and the Scavenger Hunt. Have you voted/played? The following infographic is syndicated from proeditingservices.ca and is posted here with permission. Looking for an editor? Check out Pro Editing Services. You write it, Rhonda polishes it. Click the pic to see a bigger version. The Masquerade Crew is Expanding: A major or minor step? 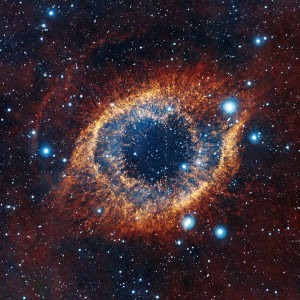 Just like the universe in general, The Masquerade Crew is expanding. This happens all the time on this site, since we are always trying to improve our services by reaching more and more people. After all, what's a book promoter without reach? I ask that, but there are lots of blogs that don't even try to reach more people. Unless it's a hobby and you don't care how many people visit your blog, I think the goal of any book blog should be to reach more people. I am an author of mainly paranormal, but I have written historical romance, adult humor, and multiracial romance. I currently reside in Saint Louis. I love L Frank Baum, the author of the Wizard of Oz novels. I love to read all genres. I am an awesome cook. I am currently writing a cookbook as well. 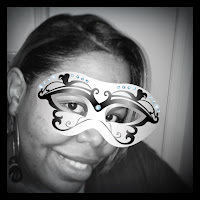 I believe in the benefit of the Masquerade Crew. I have used one of their promotion campaigns, so I know their power. *singing with a fist pump* We've got the power! Okay, that was lame but so what? Welcome to the Crew, Levon! 11 things you should never do to an author. Let the November Cover Wars Begin!